It’s a sad fact that the majority of college students today graduate with a heavy debt load. As college costs continue to rise, there is a heavier reliance on student loans to make it all of the way through. If you are attending college, or will be going there in the fall, and are using student loans to fund your education, you’ll need to start planning for your debt now. Most students qualify for more money than they actually need when it comes to student loans. When you couple these loans with scholarships and grants, the refunded portion of your loan can be significant. A great tip is to only accept the amount that you actually need to pay for your current college costs. If you do choose to accept more and take a refund, put that money away to use for the next semester! By doing so, you’ll reduce the amount you have to pay back once you graduate. It can be tempting, when you have money sitting in the bank, to spend it for all it’s worth. Instead of dinners out with your friends and nights in the club, learn how to live frugally. The dining hall is a great option for meals and watching movies on Netflix in your dorm room can be just as fun as going to the theater. Instead of purchasing your books from the college bookstore, rent them from an online source. By living frugally, you can keep more money in the bank with which you can pay off your loans. School is tough, no one can argue with that. 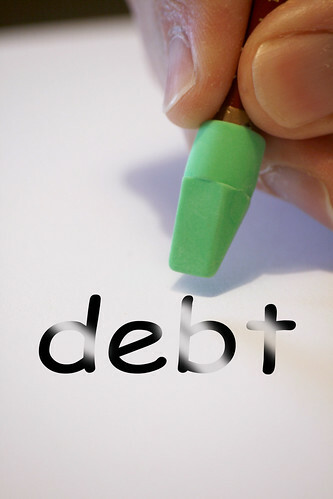 However, paying off your debt can be even tougher! If you have the time and energy while you’re in school, consider taking on a part-time job and putting the money you earn into a savings account. Alternatively, use your paychecks to start paying back your student loans while you’re still in college. The more you can pay off ahead of time, the less you’ll be paying in interest when the time comes for repayment! Instead of using that cash you receive for holidays and your birthday for frivolous things, open a savings account and start putting those gifts away. By the time you graduate, you may just have built a significant nest egg that you can live off of while looking for a job. If you aren’t lucky enough to be able to move back in with mom and dad, you’ll need that money! If you can secure an internship in your field of choice, do so! The contacts you make can be invaluable when it comes to securing a job once you graduate. The sooner you can find a job, the sooner you can get out of debt! Even if you don’t get hired on with that particular company, the networking alone will be worth its weight in gold. Don’t put off planning for your post-college debt. No one wants to be burdened with student loans for the next 30 years of their life. By planning properly, you can ensure that your loans are paid off as quickly as possible! Nicole Morgan is a career counselor, and blogs for executivembaguides.org where you can find information about executive mba programs. Paying down their debt is probably the last thing that most students are thinking of. And yet, it is this vision towards the future that could be just the thing they need to do to get out of debt quickly. I know a lot of people choose to do work at least part-time if not full time while they are going to school. Especially if you are having to foot the bill yourself, this can help to offset the expenses in the long run. Thanks for sharing these great thoughts! Saving for my studies is one of the best things I ever did. Like you mentioned above I took a part time job when I was at school and then when I was at university I had 3 part time jobs. It was hard work finding that balance between work and studies as well as social interaction but the end result was that I left uni with no student debt whatsoever. A nice thing to have in this day and age.